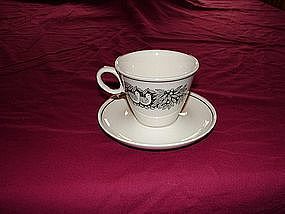 Franciscan Bird N Hand cup and saucer. Marked Franciscan Japan. Saucers have slight crazing on bottom.